Many people don’t really give much thought to the things worth considering when looking for a dry cleaner. Often it’s the shop nearest them on the way home, or the one with cheapest rates that gets chosen. I can understand this, our clothes need cleaning, we have many demands on our time and isn’t one dry cleaner as good another? 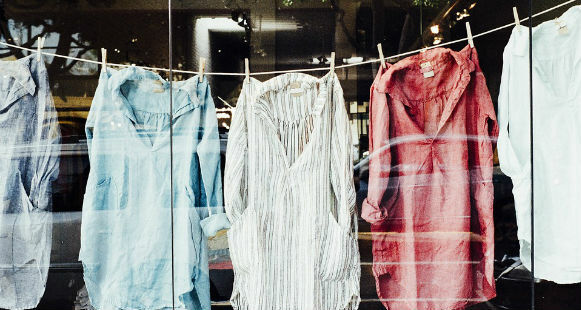 Today, in my first blog I want to share with you the five things worth bearing in mind when looking for a dry cleaner. Is the shop front clean and tidy? Is the window display clear and simple or cluttered? If you see a shop entrance that has a clean and tidy appearance this should give you a good first impression. If on the other hand you see a cluttered window display with nothing to draw your attention and the customer floor area is crowded does that inspire confidence? You want to be sure your clothes will be returned to you as good as new without getting lost. When you step inside do the staff make you feel welcome? A relaxed smile goes a long way to making you feel valued. If the counter-staff are busy with customers ahead of you did they acknowledge you as you entered the shop? Use the waiting time to take in the atmosphere as this will help you form an opinion. Are they friendly, helpful and knowledgeable? You want to be sure the business you use care about their customers, because they will want to deal with any concerns efficiently. Take a look at the completed orders hanging on the rails. Do a lot of the garments have a stain ticket on the hangers? Not all stains will come out every time, but if most of the garments awaiting collection have these tickets attached this suggests the quality of work is not up to par. It’s not possible for every dry cleaner to have the best staff, the best customer service and cheapest rates; sacrifices have to be made somewhere. I would prefer to pay a little extra to receive value for money. A good dry cleaner worth his salt should guarantee his work, no question. If you are not happy with the service, he should be willing to do whatever it takes to put it right promptly. Whether that means a refund, reimbursing for your clothing, or cleaning your garment a second, or third, time. You want to make sure that you find a dry cleaner who is confident of his work. Not every dry cleaner will offer a variety of services, but it will certainly be beneficial to you if you choose one that does. Do they offer Collection and Delivery service? This should help you enormously. Maybe they clean wedding dresses, leather, or even wax jackets. Ask them if they undertake repairs and alterations or shoe repairs. These are not signs of a good dry cleaner, but they certainly signs of a handy one! If you are likely to find some of these things useful you would do well to weigh these things up in your choice. Hopefully these tips will reward you in your search for a helpful dry cleaner, and Butlerz takes pride in ticking all of these boxes. Contact Butlerz today to find out more about our services.